Manufacturing technology has been on a constant uptick for several months, and information and automation systems are becoming more desirable. There’s been a constant increase in demand for robotic systems, supervisory controls, information management systems, and more. The use of automation across the manufacturing industry (robots in particular) was seen mostly in the auto industry. Now, the auto industry only represents about 50 percent of automation, with the rest spread across multiple industries. Now that workers are being replaced by robots, it increases the desire for employees to be more experienced and knowledgeable. When more experienced employees are hired, it leads to increased salaries and training costs. Technical personnel are also in high-demand now that automation allows for more proactive monitoring and maintenance strategies. Companies are now looking for ways to reduce costs and ways to remain competitive by keeping customers happy. With the increase of use in robots, it eliminates the needs for large production lines and more vertical space is used. When less space is needed, it also decreases energy costs and other overhead expenses. In every industry, customer service and quality assurance are crucial to the success of a business. This is especially true in manufacturing—for every company and/or product, there are a handful of competitors to whom clients can turn should something go wrong. Furthermore, with American manufacturing coming back, quality must be assured in order to sustain this trend. Quality assurance is the system and guidelines set forth by a company that ensures manufactured goods consistently meet established standards. It means getting everything right the first time so that a) the customer receives his or her order in a timely fashion and it is defect-free b) the manufacturer does not lose money on rework. What are some of the many benefits of a successful quality assurance program? Lower costs: When everything is done right the first time, time and money are not wasted. Higher quality: Meeting set standards for quality in all aspects—from the actual manufacturing of products through customer service protocol and packaging and shipping—means a successful business. Better reputation: When quality goods are produced and delivered consistently and quickly, current customers remain happy and new customers are acquired regularly. 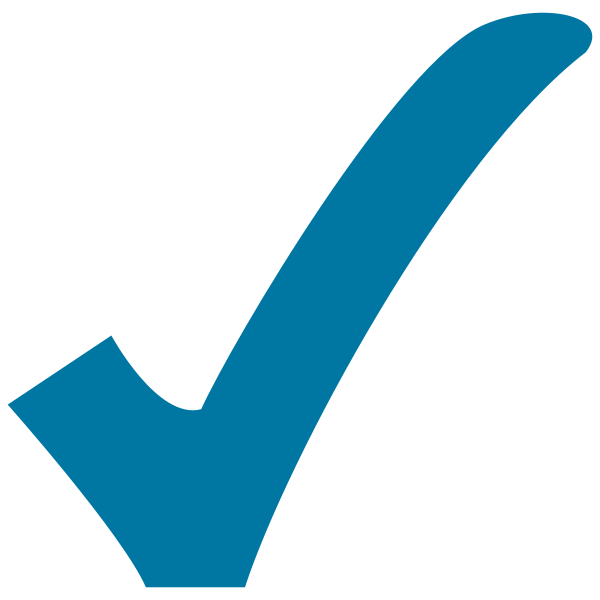 Compliance to relevant standards: If a company is ISO certified, or must meet other standards, quality assurance ensures they are always met. As a company highly focused on quality assurance, we control this in many ways. We have an ISO program in place to which we adhere stringently, making sure customers receive all parts to the proper specifications. It’s important to stick to set quality assurance programs so that products are consistently of the highest quality, and all statistics on manufacturing processors are logged and updated. Furthermore, retaining samples for general products for six months and up to two years for automotive products also helps. Did you know that a wide variety of additional operations can be applied to plastic products as they emerge from dies in their extruded form? Approximately 65% of all plastics in use today pass through an extruder, and post-extrusion processes can be applied both inline and offline in a variety of ways. Here’s some basic information about post-extrusion processes to help provide an overview of what’s possible today at plastic extrusion facilities. Some post-extrusion operations may be completed by devices added downstream of the extruder as part of the inline process. These devices may be standard devices, or they might be customized devices created for specific extrusions. Alternatively, post-extrusion processes can be performed offline by people and/or additional equipment at the extrusion facility. Cutting – extrusions are cut to a specified length, either finished product length or for convenient shipping purposes. Tighter tolerances can be achieved as well as angles or miters with an offline cut. Fly cutters and Guillotines can be used to cut smoother or shorter lengths of extrusions very quickly. Notching – an economical shearing and punching process used to make a notch by using punch tools. The purpose of this is to allow parts to be bent into an angle/corner or frame section. Printing – printing numbers inline offers traceability options. Identifiers such as websites, phone numbers, time and date, lot/batch, patent I.D. numbers and in some cases barcodes can be added to the parts. 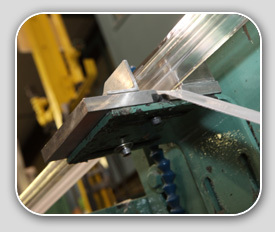 Punching – holes/slots of assorted shapes and sizes can be punched in extruded parts for fasteners, venting and alignment. 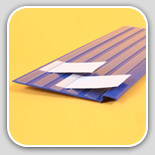 Slitting – spaces can be sliced into plastic extruded parts. Taping – magnetic tape, Velcro, foam and other types of tape, can be added to extruded parts. Vacuum sizing – this process happens inline where the exterior of the part is suctioned to the water cooled forming tool. The addition of liquid flavoring or fragrance. Liquid flavoring, which helps to repel and prevent animals from chewing on certain products or to add a pleasant fragrance, can be added to extrusions as a downstream post-extrusion process. As extrusions cure plasticizers are released and can affect adhesion of tape, adhesion promoters are applied to allow for good adhesion of tapes that need to be applied to parts. 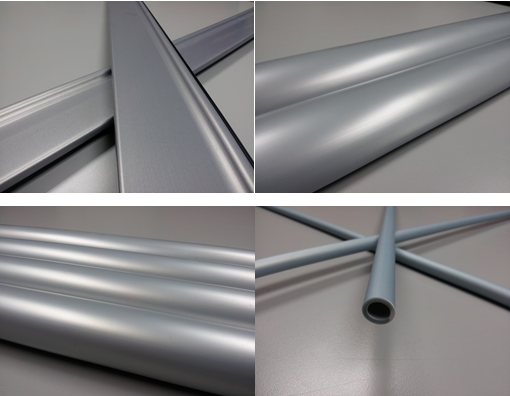 Get the High-End Look of Aluminum with Single-Process Plastic Extrusions! Using plastic extrusions as replacements for aluminum surfaces can be beneficial for manufacturers in all industries: You get the look of aluminum, or the look of a powdered coated metal finish, without the cost. At UPC, the process we use to do this is perfect for several different types of products and applications where the strength of metal is not required, but where plastic components that look like metal components can play an important role in product design and appearance. Point-of-purchase displays – an affordable option that provides the look of high-end luxury. Products with electrical wiring – when using aluminum or any type of metal isn’t an option. Trim or furniture components – anyplace where the structure of metal is not required, but the look of aluminum or metal enhances product design. Durable surfaces that can endure scratches – the metallic pigment is added to the base resin in a single process, so the metallic look is consistent throughout the plastic piece and can’t be scratched off (unlike painted or coated plastic pieces). Products that require shipping – plastic extrusions are lighter than metal extrusions and therefore more economical to ship. The savings you can obtain by using plastic components as a replacement for metal components are substantial. One of our clients says they save 40% on production costs by using this process with us. We’d welcome the opportunity to work with you too so you can see the same type of savings with metallic finish plastic profiles from UPC. We’ll handle your production process the right way! From start to finish. Here at United Plastic Components, we’re proud to say that we utilize our own Tool & Die department, and use only high-quality stainless steel when we manufacture extrusion dies and punches. Some of our downstream equipment is internally designed and manufactured for custom projects to meet the specific needs of any company, at any time. Tool and die is a very integral part of our operation. We design and develop fabrication equipment capable of machining, routing, punching, notching and cutting some simple and some complex plastic parts used in the automotive, appliance, and construction industries. The extrusion dies and equipment are designed and manufactured to ensure customer profiles and finished parts are to customer specifications in a timely manner. That’s our expertise at UPC. We’ll stick with you throughout the life of the production process. That means creating the tooling and making the adjustments necessary to get the profile to your specifications. Once the profiles are approved, we will run production. We make it our priority to complete your project as quickly as possible – but of course, timing of completion depends on the size, complexity of the profile, and the tooling/downstream equipment needed to complete the job. We have an in-house die polisher that will ensure that the die is clean and polished before production, and we will inspect it again after the run. 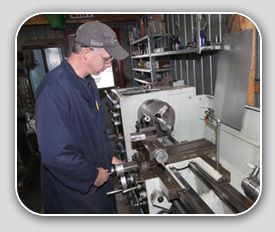 If the die wears out over time, we will refurbish the tooling for you. We maintain the tooling, and make sure it’s ready to use when we receive customer orders. When it comes to tooling, we know it’s a significant investment in your project. So, UPC wants to help preserve your die and tooling throughout its entire production life! Give us a call at 519-235-2867 or visit the tool and die page on our website today. We’d love to let you know how we can help. What Can UPC Do for Your Industry? Now that you know United Plastic Components, we want to give you a better understanding of our capabilities – by industry. Since our founding in 1971, we’ve provided custom solutions for a variety of different companies, in multiple industries. Our plastic extrusions are used in the Automotive, Agricultural, Windows and Doors, and Point of Purchase sectors – to name a few. For the Automotive industry, we have created a diverse range of OEM and Aftermarket products including running board covers made of Santoprene, exterior and interior trim pieces, gaskets and seals and fuel tank straps. Some of the country’s largest farms rely on UPC. Our plastic components can be used for crucial venting products on pig and chicken farms, hydroponic troughs as well as for the flooring of barns and walkways. All commercial and residential buildings need windows and doors. 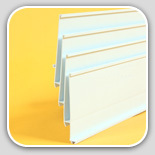 Our plastic extrusions can be found in frames for windows and doors across the nation. 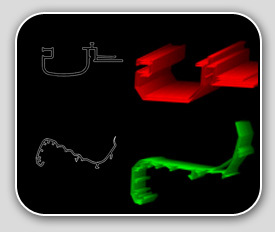 We provide the tooling design engineering, tooling and production for simple and complex custom projects. These multi-faceted extrusions are a critical part of almost every retail establishment. UPC knows the importance of having high-quality, eye-catching designs – and we’re here to help you create it. We have produced small functional parts that blend in to the store environment up to large format Aisle Directory and End Cap signs that puts the product details and pricing front and center. While these are four parts of our business, it is important to note that UPC can customize parts for anything imaginable. No one can match our competitive prices and quick turnaround time, in addition to the expertise of working with exotic compounds that other companies do not offer. Learn more about what UPC can do for you! Give us a call or send us an email and one of our plastic component experts will answer all your questions today. Small Company, Capable of Big Things. From our origination in 1971, United Plastic Components has grown to become a leader in custom plastic profile extrusion. We have developed an extremely diverse client base as a result of our high-quality extruded product and service line. As experts in the development of plastic extruded shapes and profiles, we can produce a variety of products from simple tubes and channels to complex co-extruded profiles. Originally a satellite company, our primary objective was to service the needs of a local door and window manufacturer. Four decades later, we’ve been a great resource for up-to-date trends in technology, and have made ourselves available to an array of industries and thousands of unique businesses. As an ISO 9001 certified company, our services now cover the full range of the manufacturing industry including products for swimming pools, the automotive, agricultural, appliance and construction industries to name a few. In fact, our sales have tripled from 1990 until today. United Plastic Components prides itself in being active in the community. We’re active in the South Huron Business Improvement Association, and provide plant tours for high school students interested in working in the manufacturing industry. Our current employees receive extensive training to ensure that our clients receive top-of-the line service. We have an in-house training program that teaches our extruders the complexities of plastics, tooling, and machine operation. Our employee retention rate is extremely high, the average 16 years, and we are extremely confident in our corporate knowledge base. For more information on United Plastic Components, our capabilities, product offerings, or to view samples of our work, please visit www.upcinc.com or call 519-235-2867!